This book includes the result of 10 years research of Prof. Ruth Leiserowitz. Written in German, might be translated in future into Lithuanian and English. The local and regional external relations of the late 19th century and the first half of the 20th century, East Prussia, stylized as a “German outpost” and a “German island” to the Lithuanian, Russian and Belarusian neighboring societies on the other side of the border, has been little researched. This obvious research gap is dealt with in the work of Ruth Leiserowitz, which is to be presented and accepted as a habilitation at the Humboldt University in Berlin, in which the focus is on the Jewish communities on both sides of the border between Nimmersatt/Memel in the north and Wystiten in the south – a border region of approximately 150 km in length. The concentration on the Jewish population proves to be extremely useful, as it was by far the most active population group in the region in terms of migration – also in the wake of pogroms and economic anti-Semitism. L. examines the relations across the border between two clearly visible caesura: First, there is the Napoleonic invasion of the Russian Empire (1812), which, even after the reorganization of the borders, led to new border regimes in which, above all, border crossing and border trade became a lucrative business from which, in addition to occasional smugglers, local merchants and craftsmen on both sides of the border also profited. The study ends with the murder of the local Jews by the German border police in 1941/42. For the 130 years examined, the study presents excitingly described worlds of life, which are examined by the author based on the holdings of the Secret State Archive Berlin, the State Archive Allenstein (Olsztyn) and the State Archive Vilnius (there also holdings from the former administrative district Gumbinnen), the YIVO Institute for Jewish Research in New York as well as the US Holocaust Memorial Museum in Washington. Through a clever combination of official documents and reports from local administrations and police authorities as well as private letter sources and memoirs, family and individual fates can also be grasped – an achievement that, in view of the fragmentary condition of the archives and the scattered tradition, has become a reality is to be particularly emphasized. The study focuses in particular on the coexistence of Jewish and Christian populations in a multiconfessional border environment and can show how Jews and Christians mutually profited from each other under the conditions of a sparsely populated and peripheral border region. 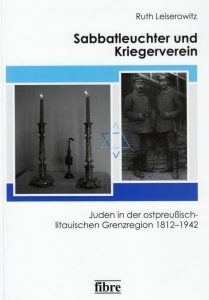 Individual case studies – for example on the small Jewish town of Wystiten east of the Prussian-German border, on the Jewish colony of Kakschen south of Tilsit, or on the life worlds of Eydtkuhnen, Kybartai, and Wirballen – show concrete life worlds on the spot. Two clear turning points can be described in the 130-year study period: First, the 1860s to 1880s should be mentioned, in which railway construction (including the central transit line Königsberg – St. Petersburg with the border stations Eydtkuhnen and Kybartai-Wirballen), the pogroms in the Russian Empire (1881), the resulting wave of emigration of Russian Jews and the Prussian expulsions of Russian Jews formulated new conditions for an interaction that was now much more concentrated but also more conflict-prone. Whereas until the 1880s a silent but continuous immigration of Russian ” Litvakian ” Jews to East Prussia took place and cross-border networks of relations developed, the border region now became a transit area in which Jewish emigrants waited for passports and agents organized the transit from the Tsarist Empire to the New World. A second turning point in the region was the First World War and the subsequent reordering of the borders, which lasted until 1923 and created a completely new situation with the establishment of the Lithuanian state and the conflict over membership of the Memel region. There is no doubt that the region on both sides of the border was one of the most war-torn regions in Europe due to the devastation and deportations of the population. Jewish lifestyles also had to reorient themselves, although the Memelland, which was under Lithuanian administration, offered new career opportunities. 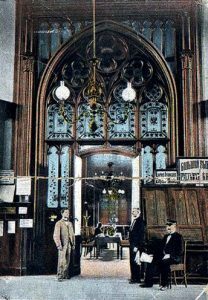 L. focuses here – quite sensibly in view of the broad German literature on Memelland – above all on the development of the Jewish community in Memel, which experienced a clear upswing. For the first years of the war (1939-1942), the focus is not on the well-researched German 1941 murder campaigns, but on a case study of Heydekrug, where the local Nazi elites used Jewish workers from the border region for forced labor in a “Jewish procurement campaign,” including former Heydekrug citizens. Overall, the presentation makes a valuable contribution to the research of historical border regions and links previously separate Lithuanian, Russian and German research positions on the Jewish populations on both sides of the border. Finally, a desideratum is described: It would be highly desirable if a similar study could be carried out for the southern border region of East Prussia, such as the section between Soldau/Mielau and Grajewo. A focus on the Jewish populations is possible, but not mandatory.